Generally the pacing of the album relates inversely with its quality. There are two faster songs, “Exorcise the Demon” and “The Gates of Hell,” punctuating a work that otherwise remains mid-paced or slower. The former is an awkward transition from the steady march of “Lake of the Lost Souls” and it throws off the pacing somewhat. The latter feels more like glossy power metal than anything else when it reaches the chorus. “The Dark Tower of the Sorcerer” is the obvious single here, taking on a mid-paced march and functioning as somewhat of an anthem for the band, unfortunately to the detriment of the atmosphere an opener should set. Perhaps I’m being hypocritical, since I love “Northern Seas” from their demo compilations, but the album is best where it slows down and embraces its doom roots. “Lake of the Lost Souls” is the best track on here, eight and a half minutes of glacially paced riffs that sound like Scald would have with clean production, and the sprawling epic stands with the best of Sorcerer’s material of any era. “Prayers for a King” strikes a similar chord, and the band does a fine job of conjuring images of Vikings, just like in the demo days. In the interest of avoiding monotony I can understand varying the pacing, but Sorcerer are a doom metal band and might as well have embraced that identity wholeheartedly. 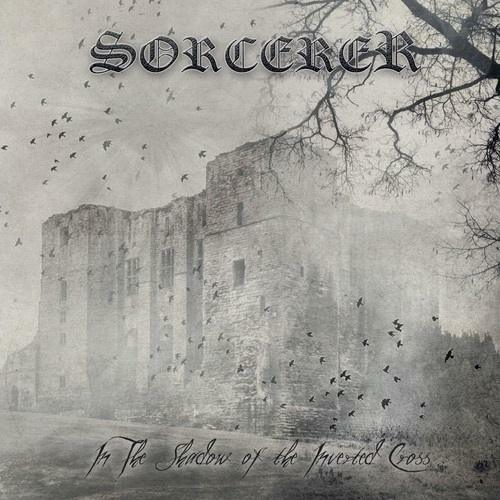 Where Sorcerer remembers that they’re a doom metal band, they shine, but unfortunately the high bar they set in the best parts of the album is not reached throughout. If you’re a big fan of epic doom this is an album worth picking up, but other than isolated tracks it won’t be the album to get you into the style.